Made of Polyester + Cotton, high quality and comfortable to wear, tailor-made, fit you best. 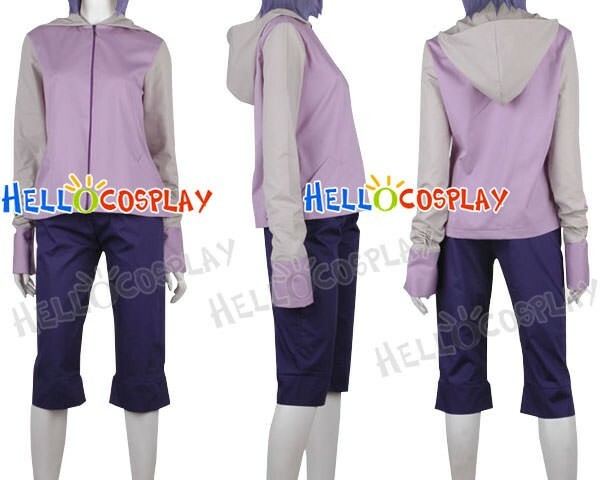 The costumes are both accurate designed, exquisite in details, made according to the original version, great for Hinata Hyuga Cosplay. Hinata Hyūga (日向ヒナタ, Hyūga Hinata) is a member of Konohagakure's Hyūga clan. Being of a meek disposition, Hinata's lack of self-confidence reflected in her skills — traits that caused her father to deem that she was not suited for her position as the clan's heiress.